In 1983, Mr. Estatico sold a Motorcycle Dealership to pursue a career in the Financial Services industry. The Bear Market of the early 80’s had a serious effect on the account values and retirement dates of several close relatives, compelling him to make a difference for his family and consequently, all future clients. 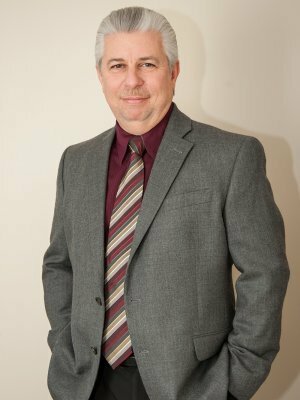 After 30 plus years, Mr. Estatico enjoys great relationships with Individuals, Families, and Small to Mid-Size Businesses. Early in his career he served as District Manager for the Equitable Financial Companies (currently known as AXA). In 1987, Mr. Estatico founded CIS Investment Strategies, a Financial Advisory firm dedicated to the needs of Individuals and Small to Mid-Size Businesses. In 2005, he joined Mosaic Wealth Consulting as a Private Wealth Advisor. He later restructured CIS Investment Strategies to Mosaic Employee Benefits*, which specializes in all forms of Employee Benefit programs. Mr. Estatico is a securities licensed representative, and an Investment Advisor Representative (IAR) of Lincoln Financial Advisors Corp. He is licensed to sell & service Life, Disability Income, and Long Term Care Insurance. He earned his Certified Fund Specialist (CFS®) designation from the Institute of Business and Finance, and his Chartered Retirement Planning Counselor SM (CRPC®) designation from the College for Financial Planning. Dave Estatico’s professional affiliations include the Pittsburgh and Pennsylvania Chapters of the National Association of Insurance Financial Advisors (NAIFA), and the Financial Planning Association (FPA). His specialties include Individual Investment advisory services, full scale financial and estate planning, executive benefit packages, ERISA retirement plans such as 401(k)’s, pensions, profit sharing plans, and defined contribution plans, and Employee Benefit Packages. *Mosaic Employee Benefits is a separate entity and is not affiliated with Lincoln Financial Advisors.